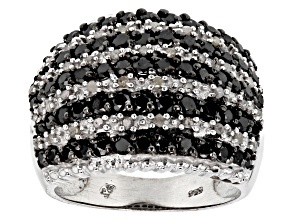 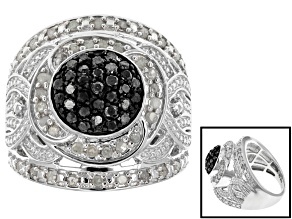 White And Black Diamond Ring 14k White Gold 1.00ctw. 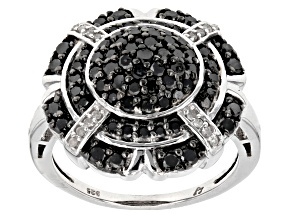 The black diamond is as enigmatic as it is beautiful, and black diamond jewelry from JTV is no exception. 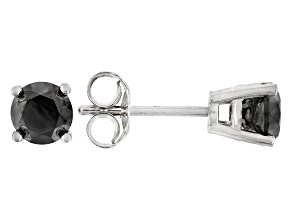 Whether acting as an accent to white diamonds, or the shining star of a piece, black diamonds lend a bit of drama and modernity to pieces of all kinds. 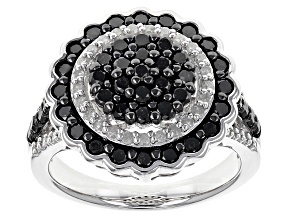 From pendants to rings to timepieces, affordable black diamond jewelry has never been more popular-or accessible. 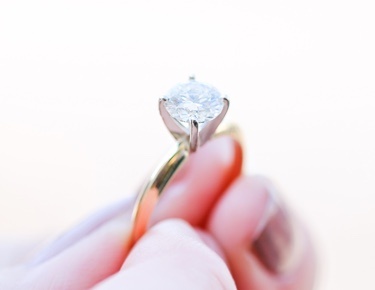 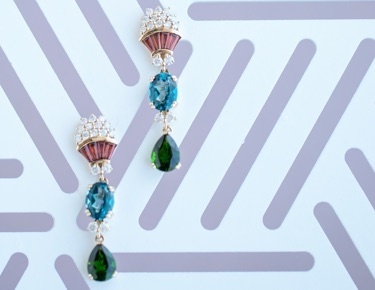 It's only recently that jewelry lovers have come to appreciate this mysterious gem. 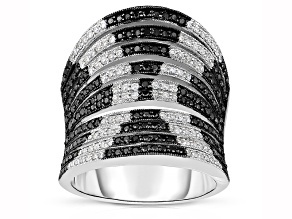 Black diamonds are, in fact, white diamonds filled with graphite, pyrite, or hematite, creating the deep, dense black shade fashionistas love to accessorize with. 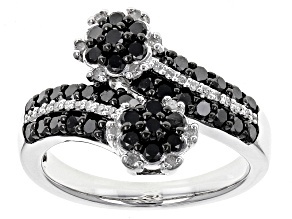 Like other fancy diamond colors, such as yellow diamonds and pink diamonds, black diamonds are even rarer than colorless or 'white' diamonds-which means black diamond jewelry is an especially unique gift or addition to your collection. 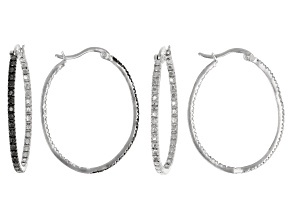 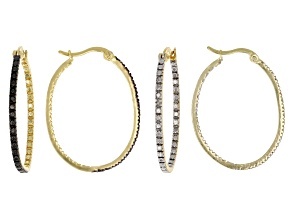 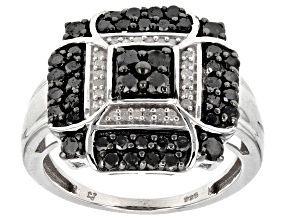 JTV has a range of affordable black diamond jewelry for you to choose from, no matter your style or budget. 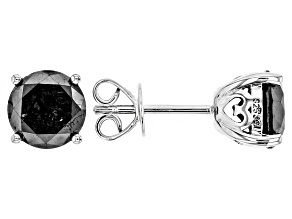 You'll love the dramatic look black diamond jewelry can bring to your ensemble and the way it transitions seamlessly from day to night. 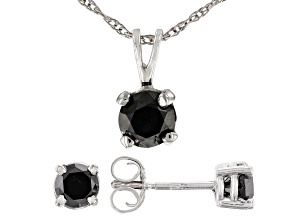 Black diamond necklaces are a gorgeous accent to an outfit of any color-black does go with everything, after all. 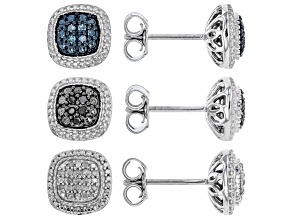 Black diamond studs are a great, low-key, and chic daily wear earring option, while black dangle earrings are showstoppers when your hair is up for a day in the office or a night on the town. 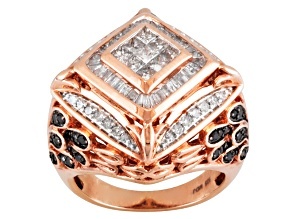 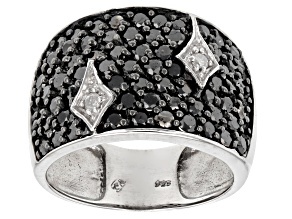 And for the non-traditional trailblazer, black diamond rings sure do make a statement.